What if I am pregnant and I get 2009 H1N1? Is it safe for pregnant women to get a flu shot? What are the symptoms of seasonal and 2009 H1N1 flu? How is 2009 H1N1 flu treated? When should I get emergency medical care? Why does CDC advise pregnant women to receive the 2009 H1N1 influenza (flu) vaccine (shot)? Will the seasonal flu shot also protect against the 2009 H1N1 flu? Are there flu vaccines that pregnant women should not get? Can the seasonal flu shot and the 2009 H1N1 flu shot be given at the same time? Is the 2009 H1N1 flu shot safe for pregnant women? What are the possible side effects of the 2009 H1N1 flu shots? What about the H1N1 nasal spray vaccine? What about breastfeeding and the H1N1 influenza and vaccinations? The pressure to manufacture and distribute the H1N1 vaccine before the H1N1 (swine) influenza virusbegins its autumn spread is ongoing, but so far it seems that the virus may be winning. The race, though, is far from over, but in more than 40 states, the number of people being diagnosed clinically with the "swine" flu is growing. "Clinically" is the key word, since testing for the influenza virus is no longer recommended. Instead, health care practitioners are using history as the guide to whether H1N1 is the likely diagnosis. The most frequent symptoms are fever, cough, shortness of breath, and fatigue. These are pretty non-specific complaints, but in today's setting of widespread influenza it is enough to be relatively certain that influenza is the cause? Less commonly, there may be chills, muscle aches, runny nose, sore throat, and headache. Interestingly, H1N1 also may present with vomitingand diarrhea, two symptoms that tend not to be associated with the usual influenza pattern. These questions and answers have been updated to include new information on 2009 H1N1 flu in pregnant women. Both seasonal and 2009 H1N1 flu viruses will circulate during the 2009-2010 flu season. A pregnant woman who thinks she has the flu should call her doctor right away to see if treatment with an antiviral medicine is needed. The medicine is most helpful if it is started soon after the pregnant woman becomes sick. The latest advice for getting seasonal and 2009 H1N1 vaccines during pregnancy is also included. Call your doctor right away if you have flu symptoms or if you have close contact with someone who has the flu. Pregnant women who get sick with 2009 H1N1 can have serious health problems. They can get sicker than other people who get 2009 H1N1 flu. Some pregnant women sick with 2009 H1N1 have had early labor and severe pneumonia. Some have died. If you are pregnant and have symptoms of the flu, take it very seriously. Call your doctor right away for advice. Getting a flu shot is the single best way to protect against the flu. Talk with your doctor about getting a seasonal flu shot and the 2009 H1N1 flu shot. You will need both flu shots this year to be fully protected against flu. You should get both shots as soon as they are available to protect you and your baby. The seasonal flu shot has been shown to protect both the mother and her baby (up to 6 months old) from flu-like illness. Talk with your doctor right away if you have close contact with someone who has 2009 H1N1 flu. You might need to take medicine to reduce your chances of getting the flu. Your doctor may prescribe Tamiflu® or Relenza® to help prevent 2009 H1N1 flu. To prevent flu, you would take a lower dose of the antiviral medicine for 10 days. The seasonal flu shot has been given to millions of pregnant women over many years. Flu shots have not been shown to cause harm to pregnant women or their babies. The 2009 H1N1 flu shot is made in the same way and in the same places as the seasonal flu shot. It is very important for pregnant women to get both the seasonal flu shot and the 2009 H1N1 flu shot. Who else should get a flu shot? Anybody who will be taking care of babies younger than 6 months of age should get a seasonal flu shot and a 2009 H1N1 flu shot to protect against the flu. This includes you and any family members or other people who will be caring for your baby for the first 6 months of his or her life. Wash your hands often with soap and warm water, especially after you cough or sneeze. If soap and water are not available, an alcohol-based hand rub can be used. If there is 2009 H1N1 flu in your community, pay extra attention to your body and how you are feeling. If you think you have the flu, call your doctor or clinic right away. If you are pregnant and you live with or have close contact with someone who has 2009 H1N1 flu, talk with your doctor about medicines to prevent flu. Have a plan for someone else to take care of a sick family member. Stock up on household, health, and emergency supplies, such as acetaminophen (Tylenol®), water, and non-perishable foods. *It's important to note that some people with flu will not have a fever. If you get sick with flu-like symptoms, stay home, stay away from others, and call your doctor right away. If needed, he or she will prescribe an antiviral medicine that treats the flu. Have someone check in with you often if you are feeling ill. This is always a good idea. 2009 H1N1 flu is treated with antiviral drugs such as Tamiflu® (oseltamivir) or Relenza® (zanamivir). Antiviral drugs are prescription pills, liquids or an inhaled powder that fight against the flu by keeping the germs from growing in your body. These medicines work best if they are taken as soon as you have symptoms of the flu. For that reason, it is important that you call your doctor as soon as you notice flu-like symptoms. If your doctor prescribes an antiviral to treat your flu, you will need to take it for 5 days. The medicine can make you get better faster and make your symptoms milder. At this time, there have been no reports to show harm to the pregnant woman or her unborn baby. Flu can cause serious illness and even death in pregnant women. Taking antiviral medicine can help prevent these severe outcomes. Antiviral medicines can be taken at any stage during pregnancy. Treat any fever right away. Acetaminophen (Tylenol®) is best for a pregnant woman to use to reduce a fever. Drink plenty of fluids to replace those you lose when you are sick. If you have had close contact with someone who is sick with the flu, your doctor may prescribe Tamiflu® or Relenza® to help prevent 2009 H1N1 flu. To prevent flu, you would take a lower dose of the medicine for 10 days. How should I feed my baby if I am sick? If you can, breastfeed. Breast milk is the perfect food for your baby. There are many ways that breastfeeding and breast milk protect your baby's health. Babies who are breastfed get sick from infections like the flu less often and less severely than babies who are not breastfed. Flu can be very serious in young babies. You do not have to stop breastfeeding if you have the flu, but you have to be careful to protect your baby from getting sick. Please see http://www.cdc.gov/h1n1flu/infantfeeding.htm to learn more about how to feed your baby if you are sick. Getting the flu shot is the single best way to protect against the flu. It is important for a pregnant woman to receive both the 2009 H1N1 flu shot and the seasonal flu shot. A pregnant woman who gets any type of flu has a greater chance for serious health problems. Compared with people in general who get 2009 H1N1 flu (formerly called "swine flu"), pregnant women with 2009 H1N1 flu are more likely to be admitted to hospitals. Pregnant women are also more likely to have serious illness and death from 2009 H1N1 flu. When a pregnant woman gets a flu shot, it can protect both her and her baby. Research has found that pregnant women who had a flu shot get sick less often with the flu than do pregnant women who did not get a flu shot. Babies born to mothers who had a flu shot in pregnancy also get sick with flu less often than do babies whose mothers did not get a flu shot. Seasonal flu and 2009 H1N1 flu are caused by different viruses. The seasonal flu vaccine will not protect against the 2009 H1N1 flu. Also, the 2009 H1N1 flu vaccine will not protect against seasonal flu. The seasonal and 2009 H1N1 flu vaccines can be given by shot or by nasal spray. Pregnant women should get the "flu shot" - a vaccine made with killed flu virus. This one is given with a needle, usually in the arm. The other type of flu vaccine - a nasal spray - is not approved for pregnant women. This vaccine is made with live, weakened flu virus. Nasal spray flu vaccine should be used only in healthy people 2-49 years of age who are not pregnant. The nasal spray vaccine is safe for women after they have delivered, even if they are nursing. Seasonal and 2009 H1N1 flu shots can be given on the same day but should be given at different sites (e.g., one shot in the left arm and the other shot in the right arm). If a woman is getting her vaccines after delivery, she can get the nasal spray flu vaccine. However, she should not get the seasonal and 2009 H1N1 nasal spays on the same day; they should be given 4 weeks apart. The seasonal flu shot has been given to millions of pregnant women over many years. Flu shots have not been shown to cause harm to pregnant women or their babies. The 2009 H1N1 flu vaccine is being made in the same way and at the same places where the seasonal flu vaccine is made. What studies have been done on the 2009 H1N1 flu shots and have any been done in pregnant women? Studies to test the 2009 H1N1 flu shots in healthy children and adults and pregnant women are being done now. Results are available from some of the studies done in non-pregnant adults and children. These results show that the immune system responded well to the 2009 H1N1 vaccine, and the safety results were very similar to those seen in studies of seasonal flu vaccine. These studies are being conducted by the National Institute of Allergy and Infectious Diseases (NIAID) and the vaccine manufacturers. Does the 2009 H1N1 flu shot have mercury in it? There is no evidence that thimerosal (a mercury preservative in vaccine that comes in multi-dose vials) is harmful to a pregnant woman or a fetus. However, because some women are concerned about thimerosal during pregnancy, vaccine companies are making preservative-free seasonal flu vaccine and 2009 H1N1 flu vaccine in single-dose syringes for pregnant women and small children. CDC advises pregnant women to get flu shots either with or without thimerosal. Does the 2009 H1N1 flu shot have an adjuvant or squalene in it? Adjuvants are agents that are sometimes added to a vaccine to make it more effective. There are no adjuvants (such as squalene) in either the 2009 H1N1 or seasonal flu shot used in the United States. Can the 2009 H1N1 flu shot be given at any time during pregnancy? Both seasonal flu shots and 2009 H1N1 flu shots are recommended for pregnant women at any time during pregnancy. How many 2009 H1N1 flu shots will a pregnant woman need to get? The U.S. Food and Drug Administration (FDA) has approved the use of one shot for full protection for persons 10 years and older. Therefore, a pregnant woman is recommended to get one dose of the 2009 H1N1 vaccine. Should the 2009 H1N1 flu shot be given to a pregnant woman who had flu between April 2009 and now? Do I need a test to know if I need the shot or not? A pregnant woman who had a flu-like illness at any time in the past should still get the 2009 H1N1 shot because she cannot assume that the illness she had was caused by the 2009 H1N1 virus. Pregnant women who had flu symptoms in the past do not need to be tested now, but should get the vaccine. The side effects from 2009 H1N1 flu shots are expected to be like those from seasonal flu shots. The most common side effects after flu shots are mild, such as being sore and tender and/or red and swollen where the shot was given. Some people might have headache, muscle aches, fever, and nausea or feel tired. If these problems happen, they usually begin soon after the shot and may last as long as 1-2 days. Some people may faint after getting any shot. Sometimes, flu shots can cause serious problems like severe allergic reactions. But, life-threatening allergic reactions to vaccines are very rare. A person who has a severe (life-threatening) allergy to eggs or to anything else in the vaccine should not get the shot, even if she is pregnant. Pregnant women should tell the person giving the shots if they have any severe allergies or if they have ever had a severe allergic reaction following a flu shot. Is the 2009 H1N1 flu shot expected to be associated with Guillain-Barre Syndrome (GBS)? In 1976, an earlier type of swine flu vaccine was associated with cases of a severe paralytic illness called Guillain-Barre Syndrome (GBS) at a rate of approximately 1 case of GBS per 100,000 persons vaccinated. Some studies done since 1976 have shown a small risk of GBS in persons who received the seasonal influenza vaccine. This risk is estimated to be no more than 1 case of GBS per 1 million persons vaccinated. Other studies have shown no increase in risk of GBS. Pregnant women should tell the person giving the shots if they have ever had GBS. Can family members or other close contacts of a pregnant woman receive the nasal spray vaccine? Pregnant women should not receive nasal spray for the seasonal or 2009 H1N1 flu vaccine, but it is okay for a pregnant woman to be around a family member or another close contact who has received nasal spray flu vaccine. The nasal spray vaccine can be used in healthy people 2-49 years of age who are not pregnant and in women after they deliver, even if they are nursing. Can a pregnant healthcare provider give the live nasal spray flu vaccine? Yes. No special precautions are needed. Nurses and doctors should wash their hands or use an alcohol-based hand rub before and after giving the vaccine. What if a pregnant woman gets the live nasal spray flu vaccine instead of the flu shot? The nasal spray flu vaccine has not been approved for pregnant women. It differs from the flu shot because it is made with live, weakened virus. However, sometimes a pregnant woman might get the nasal spray flu vaccine—for example, before she knew she was pregnant. If this happened, she would not be expected to have any additional problems. 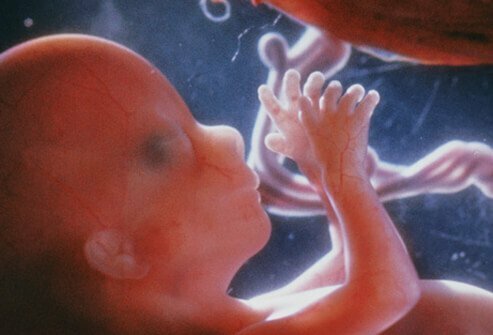 The weakened, live flu virus has never been shown to be passed to the unborn baby. However, if a woman does get the nasal spray vaccine while she is pregnant, she should talk to her healthcare provider. If a pregnant woman delivers her baby before receiving her seasonal flu shot or her 2009 H1N1 flu shot, should she still receive them? Yes. Besides protecting her from infection, the shot may also help protect her infant. Flu shots are only given to infants 6 months of age and older. Everyone who lives with or gives care to an infant less than 6 months of age should get both the seasonal flu and 2009 H1N1 vaccines. A woman can get either the shots or the nasal spray after she delivers. What about breastfeeding and the H1N1 influenza and vaccination safety? Can a breastfeeding mother receive the flu shot or the nasal spray? Yes. Both seasonal and 2009 H1N1 flu vaccines should be given to breastfeeding mothers and breastfeeding women can receive either the shot or the nasal spray form of the vaccine. Breastfeeding is fully compatible with flu vaccination, and preventing the flu in mothers can reduce the chance that the infant will get the flu. Also, by breastfeeding, mothers can pass on to the infant the antibodies that their bodies make in response to the flu shots, which can reduce the infant's chances of getting sick with the flu. This is especially important for infants less than 6 months old, who have no other way of receiving vaccine antibodies, since they are too young to be vaccinated. Take everyday precautions such as washing your hands with plain soap and water before feeding your baby. If soap and water are not available, use an alcohol-based hand rub to clean your hands before feeding your baby. In addition, try not to cough or sneeze in the baby's face while feeding your baby, or any other time you and your baby are close. If possible, only family members who are not sick should care for infants. If you are sick and there is no one else to care for your baby, wear a facemask, if available and tolerable, and cover your mouth and nose with a tissue when coughing or sneezing. There are many ways that breastfeeding and breast milk protect babies' health. Flu can be very serious in young babies. Babies who are not breastfed get sick from infections like the flu more often and more severely than babies who are breastfed. Since this is a new virus, we don't know yet about specific protection against it. Mothers pass on protective antibodies to their baby during breastfeeding. Antibodies are a type of protein made by the immune system in the body. Antibodies help fight off infection. If my baby is sick, is it okay to breastfeed? Do not stop breastfeeding if your baby is sick. Give your baby many chances to breastfeed throughout the illness. Babies who are sick need more fluids than when they are well. The fluid babies get from breast milk is better than anything else, even better than water, juice, or Pedialyte® because it also helps protect your baby's immune system. If your baby is too sick to breastfeed, he or she can drink your milk from a cup, bottle, syringe, or eye-dropper. SOURCE: CDC; "2009 H1N1 Influenza Shots and Pregnant Women: Questions and Answers for Patients." "What Should Pregnant Women Know About 2009 H1N1 Flu (Swine Flu)?" and "2009 H1N1 Flu (Swine Flu) and Feeding your Baby: What Parents Should Know." Did you get a flu shot while pregnant? Please share your experience.